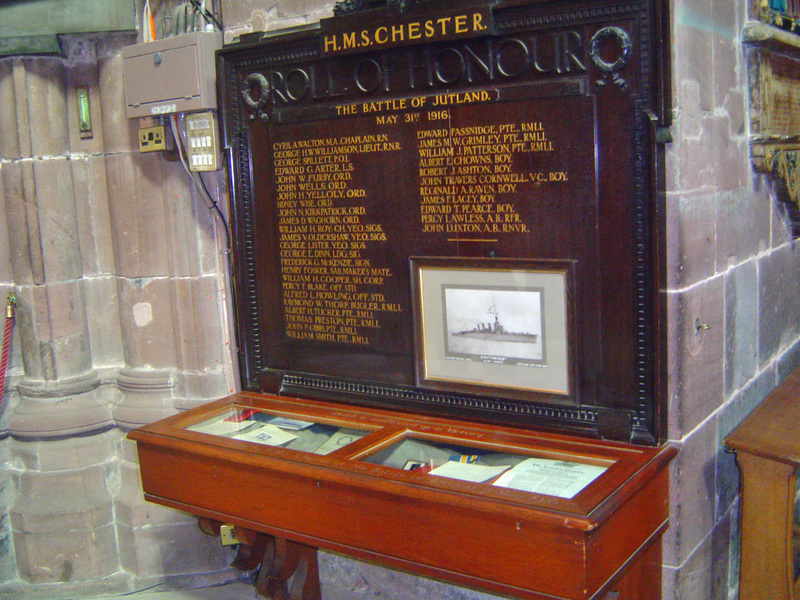 Chester Cathedral has a Memorial to the crew of HMS Chester at the Battle of Jutland in 1916 where it is recorded that John Travers Cornwell V.C, a Scout from the East end of London, a Sight Setter on the ships forward gun was awarded the Victoria Cross for Bravery under fire on board HMS Chester at the Battle of Jutland on 31st May 1916 by staying at his gunnery post despite being mortally wounded. 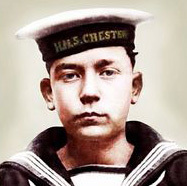 He later died on the 2nd of June 1916 and was buried in Grimsby in a common grave with other crew members but was later exhumed on the 29th of July 1916 and reburied with honours at a full military funeral in his East end. 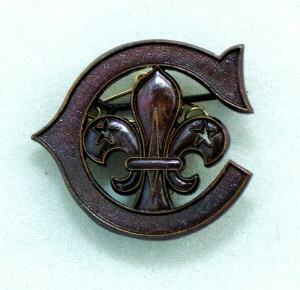 Baden Powell was so inspired with his bravery that he created the Cornwell Scout Badge (The Scouting V.C.) 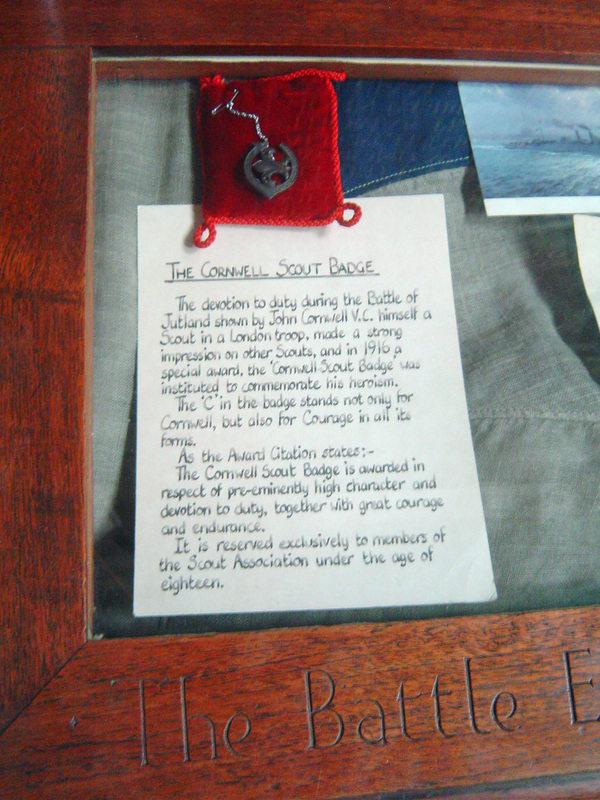 for acts of bravery by Scouts under the age of 18. 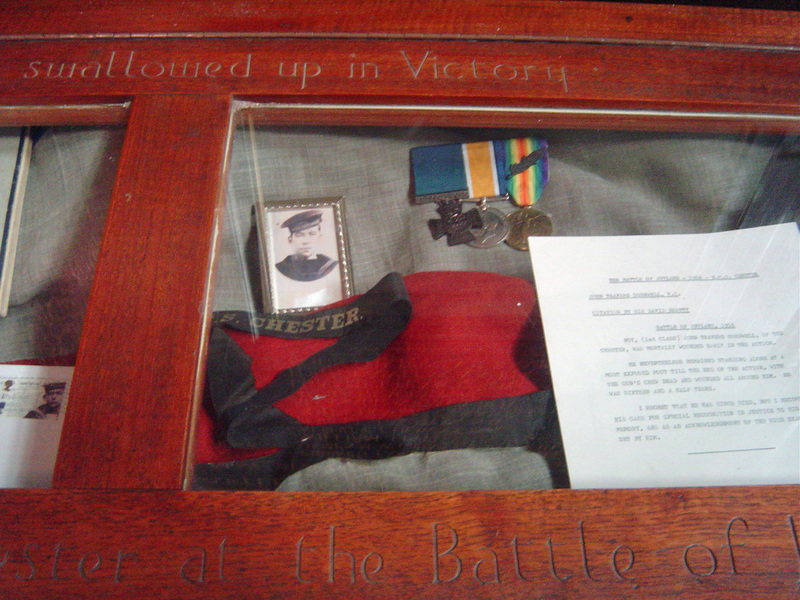 He is buried in Manor Park Cemetery in East London where people still remember him with pride. 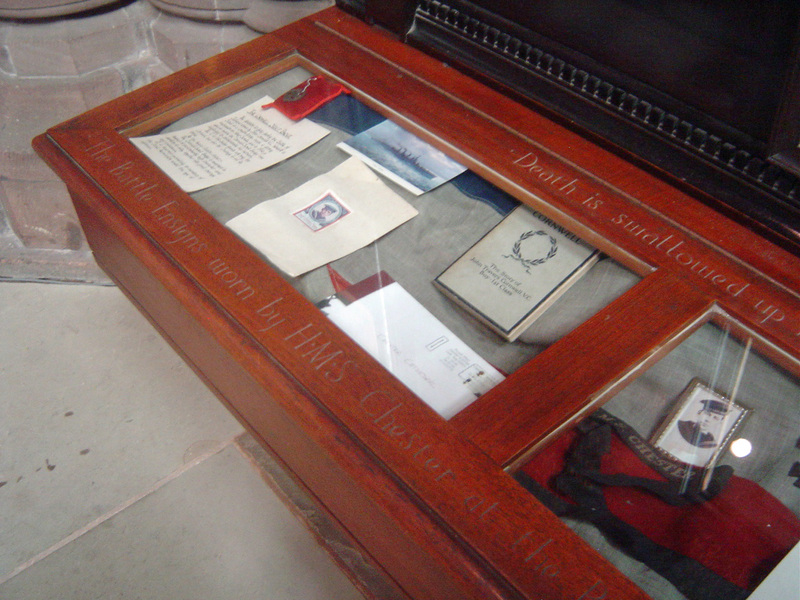 The medals are replicas but we just thought somebody might like to see this memorial to Cornwell and his crew in Chester Cathedral where he and his fellow crew members are not forgotten. 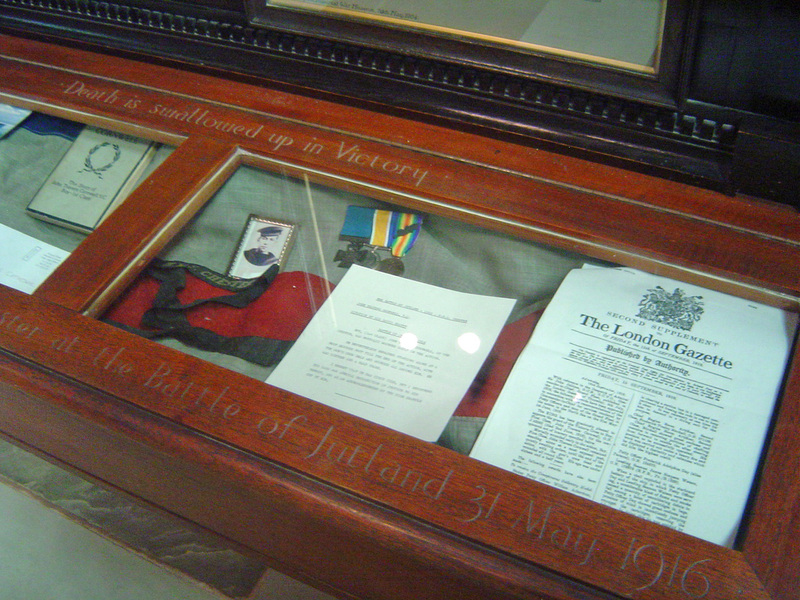 What a great example for Scouts then and today.